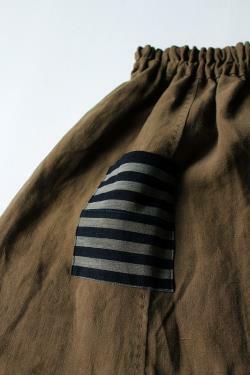 Sasaki-jirushi (antique linen)"french linen drop-crotch pants with japanese boro"made by us. 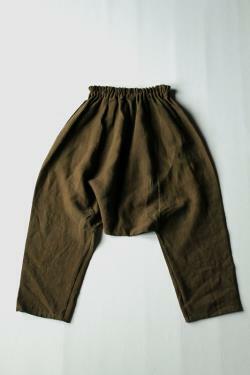 Material:french linens, early 20th centurypockets:antique cotton, 19th century. 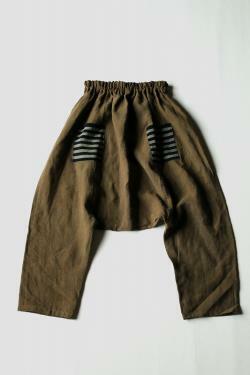 Names of those items that we have made is "sasaki-jirushi"there are 3 categories. 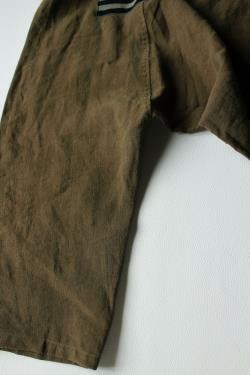 We make clothes in antique linen of europe. 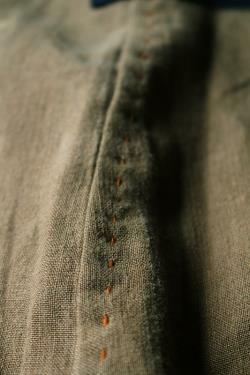 We make clothes in antique cotton of japan. We will remake the vintage clothes of the world.